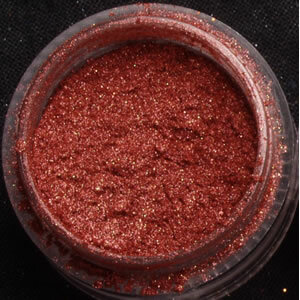 Bling Spirit Makeup Powders are a Loud, Bold & Vibrant Shimmer Collection that can be used in multiple ways! Bling Spirit Powders can be worn not only around your eyes, but also on your cheeks, lips, nails and body! Eyes- Dust the eye for a light shimmery shadow, OR for a more intense color use over our Natural Control Adhesive base for additional vibrancy and all day wear. Available in a rainbow of colors to texture, shape, shade and to define the eye. Lips- Apply a coat thin of lip gloss over lips and dab desired color of Bling Spirit Powder over gloss and re apply gloss to create your custom shade. Nails- Use any clear or colored nail polish and dip brush into Bling Spirit Powder. Brush directly onto nail for instant polish in your custom color. Mineral pigmented formula can be applied with fingertips or a brush. Apply over our Natural Control Adhesive for extended wear. Apply over Bling Spirit Shimmer Eye Creams for a layered intense effect. Try them wet to achieve a dramatic look.